Maxine Gorham, a 2016 Briya Child Development Associate graduate, was awarded Most Outstanding Adult Student at the 2016 STARS Tribute. The tribute honors leaders in DC public charter schools. “Gorham has been an exceptional student, role model and human being, constantly showing us that determination and commitment can guide us towards our professional goals in spite of obstacles,” said Mau Castro-Trujillo, who taught Gorham’s CDA class and nominated her for the award. 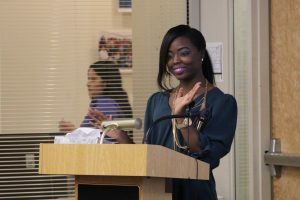 As a CDA student, Gorham not only worked hard to improve her own work and performed well academically, but she also welcomed opportunities to assist her classmates one-on-one. According to Castro-Trujillo, Gorham’s determination and caring spirit were inspirational. “Gorham is an amazing person and teacher, and should be taken as an example for future generations of teachers and CDA candidates,” she said. While taking class at Briya in the evenings, Gorham spent her days teaching three-year-old students at KIPP DC Grow Academy, as well as caring for her six-year-old son and her grandmother. Additionally, she participated in a professional learning community for charter teachers organized by the Flamboyan Foundation. Gorham’s next step is attending the University of the District of Columbia to work toward a bachelor’s degree in Early Childhood Education. 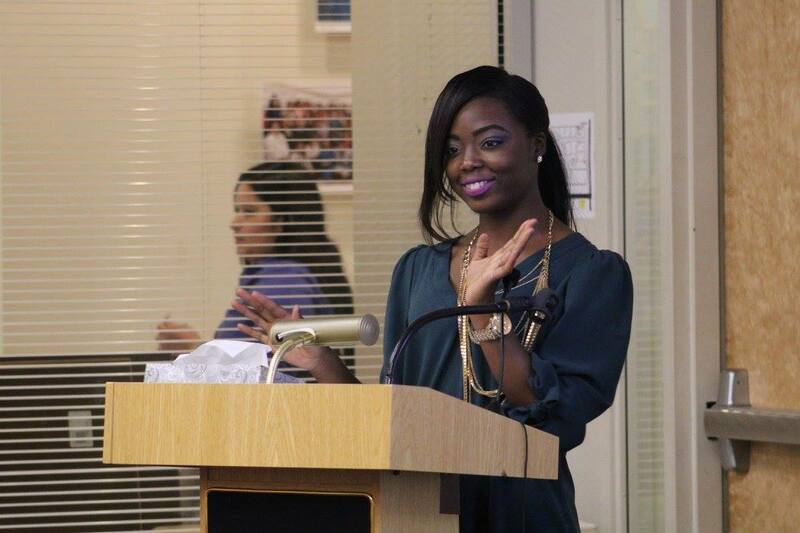 After getting her degree, she aims to become a reading teacher and eventually open her own childcare center. Briya is excited to be opening a new school in the Fort Totten neighborhood in time for the 2016-17 school year! The Fort Totten campus will enable Briya to serve more students in the communities where they live, expanding the school’s services from Adams Morgan, Mt. Pleasant and Petworth to Fort Totten. Beginning in the fall of 2016, Briya will offer classes at Fort Totten that are part of its family literacy program, which includes adult education (English, digital literacy and hands-on parenting) and early childhood education. In the future, high school diploma and workforce development classes will also be offered at the site. Fort Totten students will benefit from many amenities—including a computer lab; a comfortable parent waiting area; rooms for tutoring and other small group activities; separate playgrounds for pre-K, infant and elementary-aged children; a large multipurpose room for events and indoor recess; and much more. Briya will be joined at the Fort Totten campus by two partner organizations – Mary’s Center and Bridges Public Charter School – to offer even more comprehensive services for families under one roof. Mary’s Center, a Federally Qualified Health Center, will offer a variety of medical care, dental care, social supports and social services for children and adults at Fort Totten. Mary’s Center and Briya’s joint presence builds on their 25-year commitment to providing holistic support to the families they serve together. Bridges is an inclusion elementary school, specializing in educating children with special needs. Bridges will enroll children in pre-K through fourth grade for the 2016-17 school year, and will expand to fifth grade in future years. The Fort Totten campus, located a five-minute walk from the Fort Totten metro station, previously housed a DC public school, Mamie D. Lee. Briya, along with Bridges Public Charter School, was awarded the building by Mayor Vincent Gray in December 2014. Part of the former building remains intact and new construction will expand and modernize the space for the three organizations. Briya looks forward to welcoming families to its Fort Totten site! For more information about Briya’s Fort Totten site, please contact Lauren Stoltzfus, Communications Specialist, at lstoltzfus@briya.org. 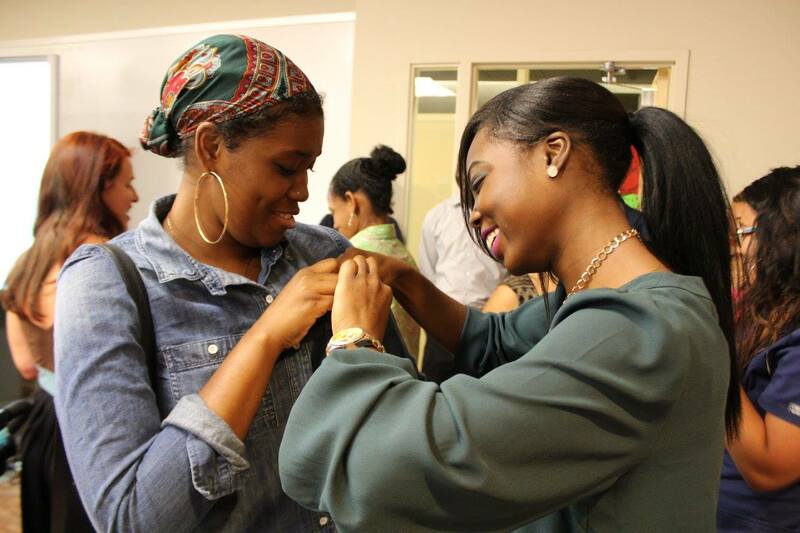 To enroll in Briya classes at Fort Totten, Petworth, Adams Morgan, or Mt. Pleasant, please call 202-232-7777. The 20 PreK students at our Ontario Road site just finished up 10 weeks of studying trees. 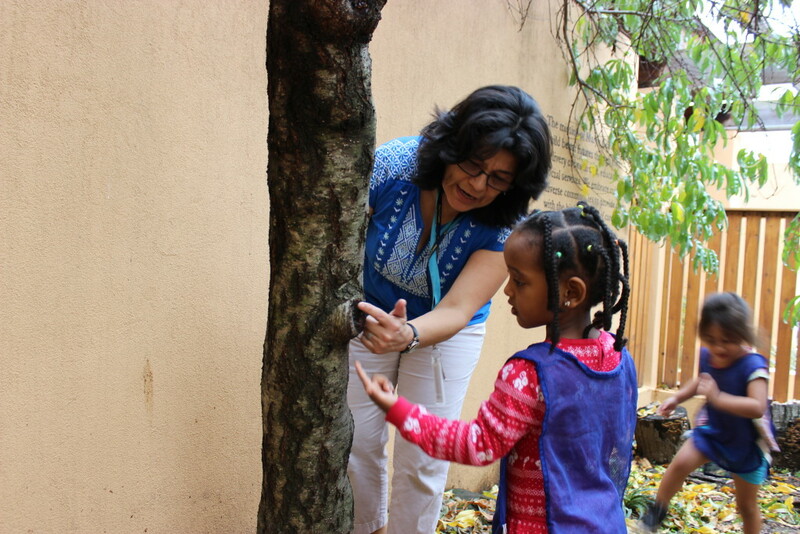 To begin, the children observed the parts of trees—roots, trunk, branches, leaves, and fruit—and learned the purpose of each part. They planted seeds and guessed if they would grow better in the sun or out of the sun. This experiment helped them realize that trees start as seeds and need sun and water to grow. The students also learned about the variety of resources trees provide—fruit like apples, oranges, and bananas; wood that can be used for items like furniture and instruments; and more. Students explored some of these resources by making homemade paper, baking apple pies, and doing other hands-on activities. In addition, children learned how to care for trees and about tree “doctors” called arborists. The classes even took a field trip to the National Arboretum to explore trees and plants there. Studying one topic for an extended period of time allows children to dig deep into the topic rather than just touch the surface of many topics. Throughout the study, teachers reviewed what students were taught in previous weeks to reinforce their learning. At the end of the 10 weeks, parents were invited into the classroom for a celebration. Students happily shared what they had learned and created, and everyone enjoyed a delicious fruit salad made from the students’ favorite fruits—that grew on trees, of course!